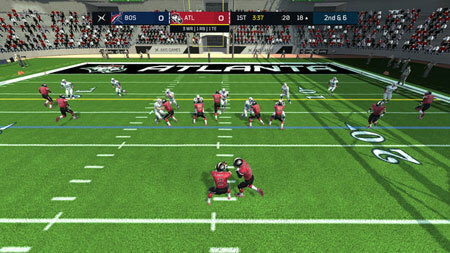 Axis Football 2018 is an American football simulation game from Axis Games, featuring a deep Franchise Mode and full customization. The game comes back with tons of improvements and upgrades than Axis Football 2017. There are over 50 new formations and over 1000 new plays in this version. Massive Franchise Mode overhaul and Penalties are added also. The game features dynamic, tiered league structure featuring playoffs, promotions, and relegations. If you get stuck in the game, check out the video walkthrough and gameplay for the game. This entry was posted in PC Games, Walkthrough and tagged Axis Football 2018 Cheats, Axis Football 2018 Game, Axis Football 2018 Gameplay, Axis Football 2018 Guide, Axis Football 2018 Hints, Axis Football 2018 Review, Axis Football 2018 Solutions, Axis Football 2018 Strategy, Axis Football 2018 Tips, Axis Football 2018 Walkthrough by Marvin. Bookmark the permalink.